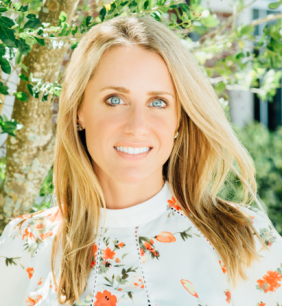 On this episode of SPx, Ashley and Joe co-host Community Foundation of Tampa Bay's Vice President of Community Impact - Matt Spence. 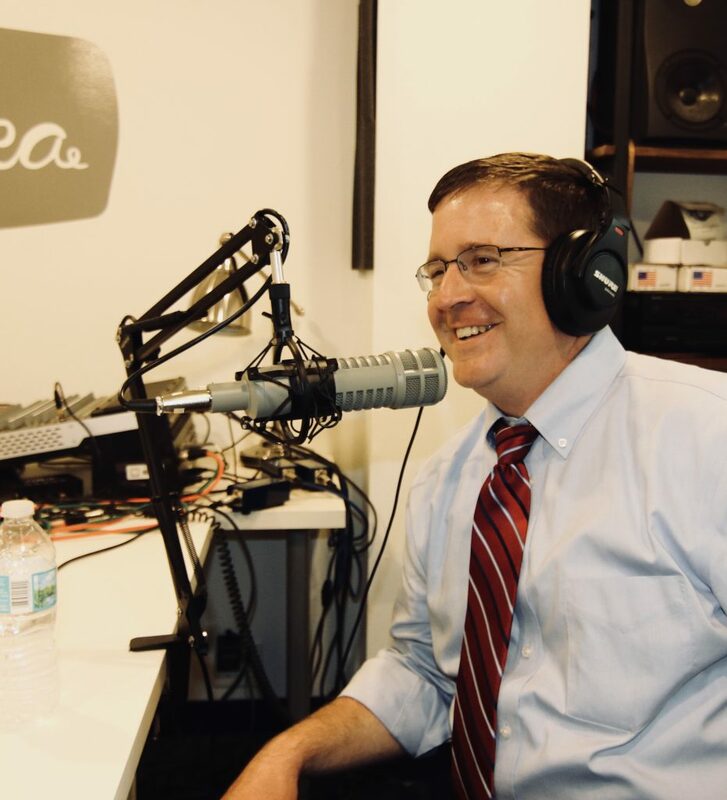 Spence explains how his career and his passions have evolved throughout the years in tandem with the various roles he has played as an integral member of the non-profit community of St. Pete, and his most recent niche in grant funding. 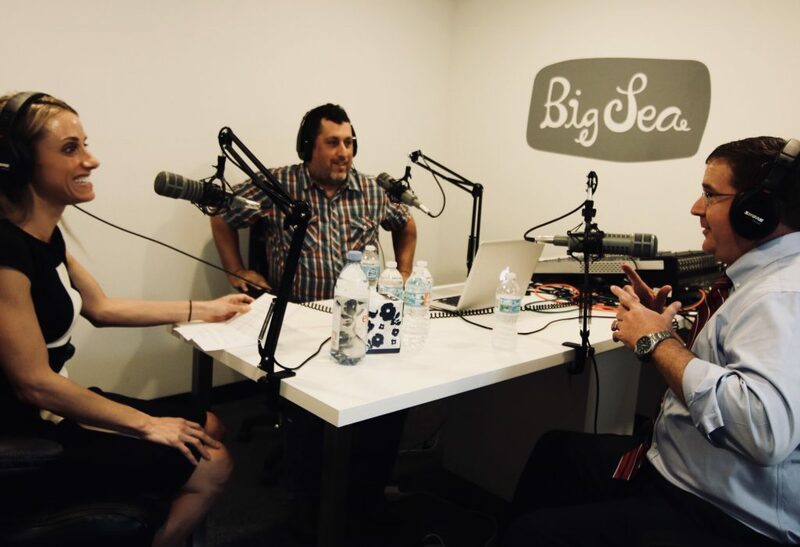 This fun episode explores in the ins and outs of non-profit funding, inside secrets on Spence's grant review check-list, and the future of non-profits as they trend toward social enterprise. Passion for the non-profit space runs in Spence's family. Spence's mother was a teacher and his father worked for the Juvenile Welfare Board. He says this upbringing had a profound effect on him and the direction of his education. 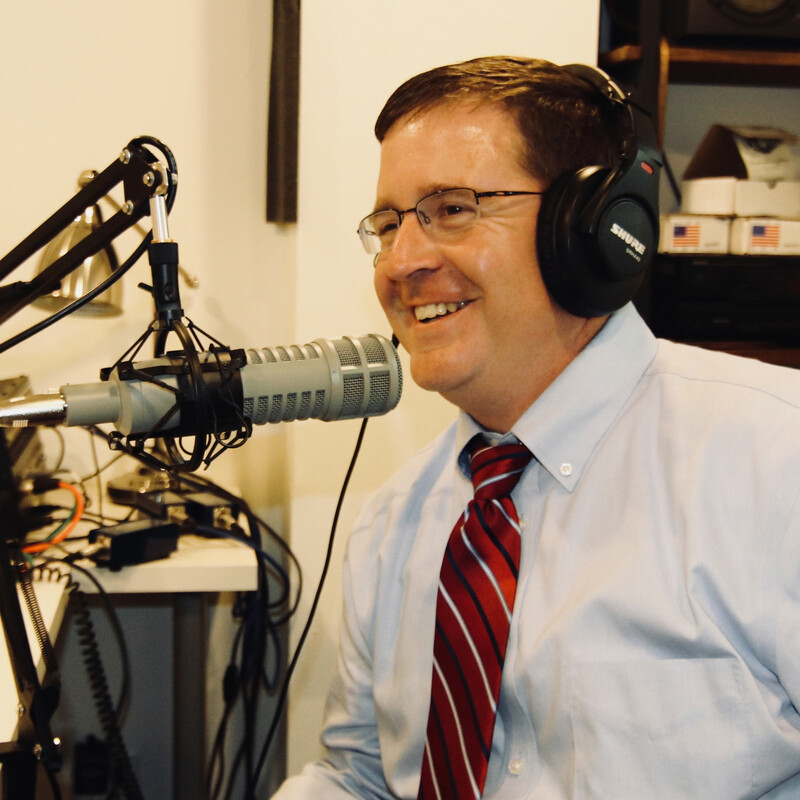 Spence's career trajectory changed over time, moving from political campaign work, to religious work as a youth minister and relief worker, to the more traditional non-profit space. Managing and meshing personalities of a non-profit board: "people who are really successful tend to respect other people who are successful. And if they’re working with a high functioning non-profit, they’ll see it, they’ll understand where that expertise lies. And you figure out what your lane is over time, and certainly there’s some cross-over and there’s some near accidents from time to time, but I think everybody finds their lane." Early learning initiatives in Pinellas County: "To have an organization that can pour 40-50 million dollars, 60 million dollars a year into the community to serve youth and families, that’s just a resource that very few other communities in our country have." Spence's top indicator in a grant proposal: results. Administrative costs are less important to Spence than the results and expertise produced by the non-profit. Grant involvement: Spence and the Community Foundation take an intentionally softer approach to the governance of their grant's benefactors. They work to aid non-profits at tightening up their grant-writing process, being very open in the grant process, and helping them understand what funders are looking for. Major misses in grant applications: bad math, budgets with-out real-world costs (rounded to an even end), failure to get to know the funder's mission and how the applicant's mission matches up within that. The Community Foundation has around 900 active funds, about half of which are donor advise funds, where the foundation serves are a sort of "concierge" or "conduit" to many non-profits, acting as a vehicle to guide a donor to a non-profit that matches their philanthropic interest. Leaving a legacy: "I love the fact that I just get to give away money and I don’t ever have to ask anybody for money. But she (Marlene Spalten) loves the conversation with our individual donors, because she sees it as a win-win. She sees it as this is going to help the non-profit community, it’s gonna help the clients that they serve, but also it’s the donor being able to leave a legacy, to be able to create something that lives beyond themselves." Community Foundation's support of local CEOs: "our founding CEO, and a consultant that we work very closely with, work with 20 CEOs every year from non-profits to help them strengthen their approach to the work and really build their capacity." SVP Fast Pitch Competition & Accelerator: "There are 13 non-profits, everything from two students that were working on a student government budget at USF, all the way up to very large non-profit in our community who are trying to build in earned income through social enterprise, and we’re helping them. SVP is activating its partners and other relationships in the community to build that skillset." The Community Foundation is finding innovative ways to encourage social enterprise: "We’re partnering with Greenhouse down here in St. Pete, and soon we’ll be unveiling a non-profit social enterprise course that builds on their small business development expertise. We’re looking at seeing how we can partner with the startup community, and thinking of other ways to help our non-profit partners develop that social enterprise expertise." Last year, Pinellas Technical College, along with the Ex-Offender Re-Entry Coalition won the Big Ideas grant with their proposal to train ex-offenders in construction and trade skills to build tiny homes that they will then sell to benefit the program. Give Day Tampa Bay 2016 was both monumental and disastrous. Garnering more than $1 million by noon, when the site crashed. Luckily, with the help of B2 Communications, they were able to build a new site within a few hours and redirect traffic there. Where are donations trending? "We look at focusing on three Es—Education, Employment and Enterprise. We feel like those are three areas in which almost any non-profit can participate in one way or another." Community Foundation of Tampa Bay partners with other organizations, including Foundation for a Healthy St. Pete, in their disaster relief effort following Hurricane Irma. The Community Foundation's LEAP initiative is constructed around college access and attainment. They've done research and compared Tampa Bay to 19 other peer communities, " it allows us to paint a picture of the future, and look at if we have some really coordinated efforts around these certain metrics, then we can see our community moving up those scales and passing competitor communities." Spence's shoutouts were for Ready for Life (an organization that works with kids aging out of the foster care system) and Gypsy Gallardo (editor of the Power Broker magazine). "I don’t really care if it takes 6% overhead, or 26% overhead. If the results for the clients, for the kids, for the elderly, for the veterans are there, then it’s understanding the expertise, and who and what it takes to get the job done." In 2015, the Tampa Bay Partnership shifted its focus from business development and marketing to public policy and advocacy. Joining forces with the Community Foundation of Tampa Bay and the United Way Suncoast, the collective group set out to research, develop, and share a set of regional indicators, set in comparison with 18 other cities, which became the Regional Competitiveness Report. The report, released November 14th, paints a picture of where the Tampa Bay Area is now, so as to understand its competitive position regionally and nationally, and develop its capacity to target and grow lagging indicators in the future. Findings: Tampa Bay is most competitive in the Economic Vitality and University-Led Innovation indicators, as well as Infrastructure (surprising to most), and Civic Quality. It is lagging in the areas of wages, incomes, poverty, and transit. "We need to activate all the resources in our community, we need to make sure that the proverbial rising tide actually does lift all boats. And that doesn’t happen on its own. That happens through intentional effort and partnership." Ashley: SPX welcomes Matt Spence. Matt is the vice-president of Community Impact for the Community Foundation of Tampa Bay. Matt, thank you so much for joining Joe and I.
Matt: Thank you for having me, I’m excited that I get both of you at the same time. Ashley: We have to select the guests that require two on one situation. Joe: We might need backup. Ashley: We have some people waiting outside. Matt: Just in case I’m not interesting enough, you guys will fill space. Joe: Did we test the panic button before we started? I don’t know. It should be okay. Ashley: …leading up to your involvement with the foundation, your involvement with the Juvenile Welfare Board, and also the Early Learning Coalition—and I know it probably takes you back to even the school where you got your degree, talk to me about how that passion for the non-profit space emerged. Matt: I grew up in a house where my mom was a teacher and my dad worked at the Juvenile Welfare Board. For 25 years I was hearing about Child’s Park and Enterprise Village and Pinellas Village. And all the challenges of kids who didn’t have the same kind of upbringing I had were facing… And my dad made his life work to make sure that those kids had the same opportunities that my sister and I had. And that really has an impact on you. That stays with you, regardless of what your passions are. And I went through school and really enjoyed the political side of it, ended up in Iowa on a presidential campaign, I had some cool opportunities in D.C. And then all that was very short lived and I wanted to get back down South where I could wear flip-flops more often, and so went back to school, got a Masters in Ed. Policy. And then left the political and the policy world and spent time working for the Catholic Church as a youth minister, being on the non-profit side, working in a resource scarcity environment and figuring out how to staple things together, and helping kids understand the value of being part of a community, of giving back. There I had some really cool opportunities, spent some summers in Jamaica doing mission work, and did some Hurricane Katrina relief work, and some really different things. And then when we moved back here to the Bay area, we decided that we wanted a different lifestyle. I had two boys at the time, and being gone through four nights a week and two weekends a month was just not how I wanted to be a father. And so, that’s really what led me back to a more traditional nine to five. And I landed back in the non-profit world, helping make a difference in the Bay area, helping others make a different is really what it’s mostly been. I have avoided doing a lot of direct service at the Community Foundation, we really just enable others to do great things, we help philanthropists make a difference, and help amplify their charity in directed and positive ways, and help our non-profit partners build capacity and do better, learn better and be better. Joe: When you made the transition back, then… you started, like you said, in politics and then moved into the ministry. When you transitioned out of the ministry, were you tempted at all to get back into politics? And where is that…? Joe: You had your fill. Matt: Yeah. It’s a very different, very public lifestyle, and people had always told me that I was very good at talking to people and explaining things, and in fact Galey Castro, when I worked at JWB, called me a distillery. I don’t think she meant the alcohol, I think she meant more I was good at boiling things down to a simple form that people can understand. And that’s a skill that works very well in the political side in the background, but I’ve never wanted to be in the front. And when you’re not in the front, it’s a life that can change on a dime, and you’re always relying on others, you’re working for someone else, your passions and your goals are really subject to somebody else’s desires and whims and needs. And that was not really how I saw my skills best being put to use. Ashley: Talk about the potential blurring of lines between government and the non-profit space. We were talking about the term philanthrope capitalist, and essentially—I don’t know if it’s an official term, but it’s one to describe the individuals and foundations that have the ability to stroke big checks, and by turn may have a disproportionate amount of influence on our government. Matt: It’s interesting, because I think in a lot of ways, charity in the United States, the way that we’ve approached problems is a lot of times there were things the government didn’t wanna do, or the government wasn’t best at doing, and so ended up the non-profits filling a lot of gaps in that area. And then we’ve come back around to those things take resources, and if there aren’t going to be tax resources, if there aren’t going to be public investment, then there has to be private investment. And a lot of times, instead of getting one thousand $10 donations, it’s a whole lot easier to get one $100,000 donation. And so, those individuals who have the capacity, fortunately in our country many of those individuals are extremely publicly-minded, are very interested in giving back. Those are the people we work with at the Foundation, and we’re blessed to have hundreds of very giving people who do wanna give and who have an impact on their community in a positive way. But you’re right, there’s an opportunity there as a grant maker, as a funder. We experience the same thing, I probably have more ability to tug on non-profit leaders, then maybe we should. But certainly, whether it’s an individual, philanthrope capitalist, or just a donor who wants to do good things, especially the donors we work with, they’ve been very successful. They’re only able in that position to give because they’ve been successful in the private industry, and with that comes a lot of desire to have influence over how their dollars are used, which makes perfect sense. I think that the key is helping individuals who are in that position understand content area expertise, who really understands what’s going on and what are best practices in certain areas. And if you’re gonna work in the education space, then it’s good to have somebody on your side who has spent a career there, or is in my case married to a teacher, or has a degree in education and really gets how things operate and what levers are there to pull, and what levers aren’t there. Joe: So, a lot of times you have people that come in as successful business people, and they’re masters of their domain, they have high acumen, and then coming up the other way you have people who are on the ground doing the work, who have their own more experiential acumen. And I would assume that sometimes those don’t always mesh perfectly. How do you handle that? Matt: There can be, and certainly one of the biggest challenges, if you ask any non-profit, is managing a board. But also, the really good non-profits understand how to pull the expertise out of their board. That’s a really critical component. I know you guys had a chance to talk to Irv at SVP on their advisory board there, and that’s a fantastic organization, they do really good work getting individuals who are fairly topically-minded to donate not just their money, but also their time and their expertise. It’s kind of the idea behind a board of directors in some senses, but this is even more direct, it’s digging into the details and helping to offer that expertise. But there has to be a mutual trust, there has to be an understanding that there is subject area expertise in homelessness, in housing, in education, in almost any of those non-profit fields that a business leader, who maybe made their money in telecommunications or something else, just isn’t going to have. And often they do, people who are really successful tend to respect other people who are successful. And if they’re working with a high functioning non-profit, they’ll see it, they’ll understand where that expertise lies. And you figure out what your lane is over time, and certainly there’s some cross-over and there’s some near accidents from time to time, but I think everybody finds their lane. Ashley: So, we wanna get into your work at the Foundation. But prior to that, your stints at the Juvenile Welfare Board and the Early Learning Coalition. So, when you mention that your wife is an educator, when you think about these two agencies and what you’ve been a part of from a planning and development perspective, and then you’re moving from Juvenile Welfare into Early Learning, which has become really a buzz word in our community, preschool and other initiatives, to get to our youth early on to affect the trajectory of their lives. Now you’ve moved into a more of a brokerage role, and I’ll let you explain it better than that. But what taste has that involvement left in your mouth, and sentiments that you may have as it pertains to our educational system, or where we’ve got in it right and where we still have some work to do? Matt: I think something that’s really important for community to understand and appreciate is how much of a blessing it is to have that Early Learning Coalition here, to have those public resources devoted to young children and helping them get on the right path and get set up for a successful future. And even more so, the Juvenile Welfare Board. This is a very resource rich community. Sometimes it’s system poor, but resource rich, and the Juvenile Welfare Board is one of the best examples of that, it’s been around for 75 years and does amazing work. To have an organization that can pour 40-50 million dollars, 60 million dollars a year into the community to serve youth and families, that’s just a resource that very few other communities in our country have. And the way that the Juvenile Welfare Board has been able to impact, we have really strong healthy families programs, we have really strong early learning programs, we have really strong after-school programs in this community, all at low or no cost to the individuals who are receiving the benefit, because of a public and a community that said yes over and over to the Juvenile Welfare Board, to raises for teachers, to special bond issues, to all sorts of things that Pinellas County has said, yes, we want to invest in our future. And when you look at the demographics of Pinellas County, that’s not intuitive to say this is a community that the average age is well above a lot of other places, and yet still invests so heavily in its youth. It’s really a testament to who we are as a community. Joe: As you’re giving out grants, there’s the traditional statistics, which are what percent of the money goes to admin versus to the intended cause. Matt: Yeah, I hate that one. Joe: Yeah. Well, that segues perfectly into the questions. What are the things that matter to you? Maybe they’re not as traditional or well-known as the big-ticket stats that you think make a good non-profit for you? Matt: Yeah, I think when the Community Foundation was creating the position that I now employ or now I sit in, they were very careful about the wording of it. My title is Vice-President of Community Impact, and I take that very seriously, I take that as my charge. The idea is, I don’t really care if it takes 6% overhead, or 26% overhead. If the results for the clients, for the kids, for the elderly, for the veterans, whoever it is you’re serving, if the results are there, then it’s, again, understanding the expertise, who and what it takes to get the job done. If that non-profit tells us, ‘This is what it’s gonna take, this is how I would deploy your resources to be effective in combating whatever problem we’re combating,’ then I don’t think it makes much sense for us to nickel-and-dime them on a budget. And it does take investment, there’s long been this back and forth in the non-profit world about overhead, about admin costs, or however you wanna define it. And unfortunately, that’s lead to non-profits being really good at being able to categorize things as not-administrative costs, or as some other category of cost, when really, we should be asking what results are you getting for the investment we’re making? And I think that’s one thing that I’ve certainly grown my understanding over the last two years of being with the Community Foundation, is that grants are an investment in a non-profit partner. It’s not a donation, it is an investment with an understanding that the return is not financial, the return is to the society as a whole, to the individual as being served. And as long as we as an organization can look at the proposal to a grant before us and say, ‘Hey, that’s an outcome we’d love to see in our community, and you’re the one on the ground in the field everyday doing whatever it takes, and you’re telling me this is the way you deploy those resources,’ I’m a big believer in letting non-profits be experts in their field and us being experts in the field of grant-making. Ashley: So, the amount of really governance and involvement that you get with a grant, or relationship that’s sprouted from a grant, right? So, you essentially become partners and you’re measuring outcomes, you’re measuring impact. Now parleeing into the Community Foundation and looking at individual donors, are you seeing value in that level of communication and information and recognizing that individual donors maybe they don’t wanna be involved in the day to day, but maybe there needs to be a different level of transparency that makes your foundation so valid to the conversation? Matt: I’m still in recovery, and hoping to never go back and have to write grants again. I much prefer reading them and being on the giving side. And working with our non-profit partners at the Community Foundation, we can be a lot more flexible, and we try very hard to do that. We try very hard to see it as a relationship, like you said, and to that end we are very open in our grants process, we have non-profit partners who call us right up until the day a grant is due to ask questions. When we send out a rejection, my contact information goes out with it in an invitation to meet, because I feel that’s really important that our non-profit partners understand why we didn’t choose to fund them, and what they can do to better position themselves in the future. We’re never going to fund all 15,000 non-profits in the Bay Area, it’s not possible, but we probably get about $10 in request for every dollar that we can fund. At the same time, we can be a lever for those non-profits, we can help their grant writers, we can help their program directors understand what funders are seeing and thinking when they see the applications that come in, and I really enjoyed being on funders panels and meeting with other funders to talk about the things that we see and the things that are important to us in grant applications, because I can feed that back to our grant writing partners, our non-profits. Joe: Can you give us a couple of those things, the highlights of things that are most often missed, I would say? Matt: Sure. It’s everything from the really simple, like turning in a budget that has some bad math in it, that’s incorrectly added up, again, to the idea that our grants are investments. If your math is off in your budget, then it’s hard for us to trust you with an investment of our donor’s dollars. I also tell people I like to see crooked number budgets, because in the real world nothing rounds off to three zeros at the end. And obviously, if there’s a cap to what you can ask for, you’re gonna ask for every penny with three zeros on the end and then figure it out from there. But our grants don’t have that, and so I like to see crooked number budgets, I like to see people giving real-world costs, and it shows that they’ve done the background research, they understand what it’s really gonna take to deliver on what they’ve proposed. And it gets much more detailed than that, but what I always tell people is, get to know your funder, take the time to understand what their priorities are, what they want to accomplish. Because whether it’s the Community Foundation or any other private funder out there, and the big public funders, they have goals too. We have a strategic plan, we have ideas that we wanna accomplish as a Community Foundation and the role we see ourselves playing. And if I was still in the grant writing world, I would wanna know that, because then I can talk about how our priorities match with yours. I can talk about how what we’re doing helps you get where you wanna go. And that’s the kind of thing that I think funders across the board really hope to see. Ashley: Now, is there a pure—I guess I’ll call it a concierge element to the foundation as well, so moving beyond the funding capacity of the organization, and serving as a conduit between a private donor, presumably, and non-profit. That’s something else that you’re actively involved in as well? Ashley: So, I’ll follow up on that. When you think about a typical philanthropic relationship, the assumption can be made that the donor has some type of established relationship with a non-profit. I know those types of conversations around legacy gifts and endowment happen very directly, and what you’re introducing is probably the ultimate overhead in terms of administrative involvement. So, what is missing from those conversations that isn’t inspiring these donors to circumvent the non-profit and come to you? Matt: This is where your background in a really strong non-profit gives you a different perspective, because there are a lot of non-profits out there that don’t have the ability to have legacy giving conversations with their individual donors, that don’t have these long-term relationships with donors that they know that they can plan together what the future looks like. In fact, quite a few of our relationships start with a professional advisor, whether that’s a wealth manager, or a estate planer, an estate attorney, or financial advisor… We actually have people working just specifically on those types of relationships, because a lot of conversations happen when people are planning their estate, and there’s typically not a non-profit in the room for that conversation. A lot of plans… more often than you would think people are planning donations to organizations that don’t know that they’re out there, don’t know they have the level of resources they do to support the work. And so, we are halfway in between that, where we get to be much more involved with our donors. Our CEO, Marlene Spalten, loves to joke back and forth with me about who has the better job. I love the fact that I just get to give away money and I don’t ever have to ask anybody for money. But she loves the conversation with our individual donors, because she sees it as a win-win. She sees it as this is going to help the non-profit community, it’s gonna help the clients that they serve, but also it’s the donor being able to leave a legacy, to be able to create something that lives beyond themselves. And that’s the key element of what we do, we’re designed to be the experts on giving. The back of my business card says ‘inspired giving’, and we really try to fill that role and be that go-between, that conduit for individuals, family foundations, corporations who either don’t have the personal expertise, or don’t have the time to build it. That’s where we come in and help guide their giving. Joe: Because you’re being that conduit and when people are tying their legacies to their gifts, a lot of times their name goes along with that. And as a hyper-connected society, how much do you talk about the perception or the risks of perception with the potential non-profit partnerships, and how much does their actual marketing prowess, or command of their story play into the conversation beyond their operational, or their impact, I should say? You’re helping people tie their name to something, potentially. And then with our “gotcha” economy, one bad story will mean – call it the Kevin Spacey effect, right? Joe: So, does perception play into your conversations? That was the question. Matt: Usually we stay out of that level of detail of the conversation, where we play matchmaker. But when we are talking with individual donors, a lot of times the value behind what we do is that we’re built from the community, our staff is comprised with members of the community, we have regional councils including a Pinellas council here that meets in St. Pete. And we can always have a pulse on what the needs are of the community for the long-term. And so, because so much of our resources are in endowments, it makes a lot of sense for donors to move in that direction if they’re talking about big gifts, because 20 years from now, 30 years from now the need might be very different, and so putting your resources in the Community Foundation and trusting that our work will really always have a pulse on what the needs are today, that’s one way to look at it. But I hear your question about marketing, and the non-profit side. Joe: You never had a negative experience where you’ve put a donor in touch with a group, the groups had some sort of PR issue and that’s reflected back where the donors come to you and said, ‘You’ve put me at risk, you’ve hurt my legacy because of this’? Even though you had nothing to do with it, but sometimes you just get a sense for which leadership is more volatile, right? Who is more outspoken, and knowing the temperament of the donor to the risk for public backlash. Matt: Fortunately, we don’t… Not that I can remember anyway if I’ve had a situation like that, but I can certainly think of some several years ago, Wounded Warrior Project for example got into some trouble because of people’s perception of how they were spending their money. And we certainly support organizations like that. And to go back to your conversation with Irv, again, one of the things that he talks about all the time is venture capital, and I think philanthropy is similar in a lot of ways. Often, you’re betting on the jockey and not the horse, which is one of the reasons why one of the programs of the Community Foundation actually sponsors that we don’t run any non-profit programming, but we do bring CEOs together, and we have our founding CEO, and a consultant that we work very closely with, work with 20 CEOs every year from non-profits to help them strengthen their approach to the work and really build their capacity. And we’re now in—I think we’re finishing up class six, so it’s over 100 leaders of our community, leaders of the non-profit world that have really gained a lot of value from that kind of support through the community foundation. Ashley: This will probably air after that. Joe: It was great. We loved it! Matt: It was a fantastic event! Joe: Some of those companies, and so much good work was done there and… Man, I was just proud to be part of it, so… We were proud to sponsor it, and we’ll be judging one of the judges… God, one of the best days of my life! Matt: So, the accelerator is going on right now, though, and that I can tell a little bit about. There are 13 non-profits, everything from two students that were working on a student government budget at USF, all the way up to very large non-profit in our community who are trying to build in earned income through social enterprise, and we’re helping them. SVP is activating its partners and other relationships in the community to build that skillset, and a lot of non-profits don’t have that. I’m personally very passionate about social enterprise, and helping non-profits build earned income opportunities into their model. It’s a buzz word now, it’s been around a couple of years people think, but in reality it’s as old as girl scout cookies, right? It’s been around 100 years. Joe: That’s something Irv and I have been talking a lot about offline, and the traditional model is when you have the Arts Alliance does a class, and there are other organizations that try to teach artists, or other non-profits, how to use their skills to be better business people. And man, I just feel like it’s a competitive world, and that’s a big hill to climb, right? And so, we’ve talked often about building an organization that does it for them. I know there are some variations of that out there, but I think that that can have some legs to be a place where people can plug in. And then, of course, you get value add with the philanthropic aspect of it, which makes it easier to make the business a success, but do it for them instead of trying to teach them to do it. Matt: There’s a lot of layers to it. A lot of the successful social enterprises around the country tend to be employment focused, so helping individuals with barriers to employment build that skillset while gaining meaningful work experience, and at the same time you can go for government contracts, you can do… There’s a non-profit in L.A. that has street beautification for a whole bunch of different districts, and they use that as a way to teach employment skills for their clients who are coming out of prison or jail. There are all sorts of different ways in which social enterprise can be employed, but you’re right, there’s pieces of it that don’t make sense for every non-profit to try to build on their own. That’s always been true, if there’s an aggregator out there where you go, non-profits can have access to some high level expertise, to people like yourself and others around here that really know what they’re doing in the marketing space, really know what they’re doing in terms of a lot of other areas, back-end finance, things like that, where especially for the young and small non-profits, they just don’t have the capacity to hire a really talented marketing person, or a CFO with the level of expertise for the complications that they’re dealing with. Ashley: I should note that when you’re talking about a really talented marketing person you’re just making direct eye contact with Joe, and then I’m sitting right here. Right in front of you. Matt: I’m sorry, I will turn in and direct this– very talented marketing people. Ashley: Oh, how about that? Joe: I’ve only got three very’s to save the four very’s for you. Matt: I just want to make sure I evenly spread my praise. Ashley: Thank you, I was keeping track. So, when you talk about social enterprise, was that one of the catalysts to the Big Idea Grant, where you looked for synergistic efforts, or synergistic opportunities with some of the smaller non-profits? I think it was a $50,000 gift or multiple $50,000 gifts? Joe: Great marketers never use the word synergy, just for the record. Ashley: Great marketers highlight programs that their guests are working on. Matt: So, the Big Idea grant actually existed before my time with the Community Foundation, and last year’s grant was focused on social enterprise. But we change the topic every year. We are doing some other things around social enterprise this year. We’re partnering with Greenhouse down here in St. Pete, and soon we’ll be unveiling a non-profit social enterprise course that builds on their small business development expertise. We’re looking at seeing how we can partner with the startup community, and thinking of other ways to help our non-profit partners develop that social enterprise expertise. But last year, just so we can brag for a minute, we had a really fantastic competition around social enterprise. So, our Big Idea Grants won a $50,000 grant, and we had three great finalists, but more than that we had 30 or 40 non-profits thinking through what they could do to build earned income into their model, into their work. And only one of them walked away with $50,000, but pretty soon you’re gonna see construction of tiny houses here in St. Pete at Pinellas Technical College in partnership with the Ex-Offender Re-entry Coalition. They won the competition last year and they’re gonna employ ex-offenders, give them construction and trade skills while they’re building tiny-houses for us to sell, and then pour the profits back into the mission of Ex-Offender Re-entry organization. Ashley: So, speaking of your time at the Foundation, I wanna talk to you about Give Day Tampa Bay. And I want to talk about the infamous crash of 2016 for Give Day Tampa Bay. Matt: Can we talk about the good of 2015 or ’17? Ashley: I will say this. Give Day Tampa Bay, it’s really like Christmas for a lot of non-profits. It happens ever year, it’s reliable and I joke, but the amount of involvement and enthusiasm around this day is pretty profound. You could probably explain it better. And I mentioned the infamous crash because our perception, or at least I think some of the public’s perception when it was happening, it was really due to demand. There was a potential load-balancing issue as the community was using that day and your platform to make a gift. Matt: There are a couple of things that I’ll definitely come back to 2016, because you’re always a little hesitant when you become a case study, but in this case we became a good crisis communication case study. But the idea of Give Day is to allow smaller non-profits, or even any size non-profits to have everybody draw attention to the good work being done in the community on one day, to drive everybody to our Give Day website, which is really a series of 600 other websites where people can give right online, directly to the non-profits they love. But by working together and highlighting that day, we really amplify the marketing effect of it. And we have a great partner in WEDU, they do an eight-hour live stream and they put a lot of non-profits up in front of their cameras to tell their stories, and that’s a fantastic piece that a non-profit can use for years, that they told their story and they can send that out to donors. It’s a really valuable thing to give them. We find that Give Day is really a great opportunity for us to give back. We actually don’t make money off Give Day at all, it’s less about us as an organization than providing an opportunity for our non-profit partners to highlight what they do. And we’ve consistently grown it over the last five years. And in 2016 what happened was a confluence of perfect terrible events all coming together, because there were 50 something Give Days all happening on the same day around the country, all on the same platform. And the platform crashed. So, there were Give Days all over the country, literally from Washington state down here to St. Pete that were having to make really tough decisions. And it was almost the worst-case scenario, where it crashed, but then sort of got working again, and you couldn’t tell if your donation came through. But it crashed right around noon, and we had already made over a million dollars for our non-profit partners at that point. And then we had to make a decision as an organization, where are we gonna go with this? Fortunately, we had a relationship with another organization that builds crowdfunding platforms, and so in 90 minutes on the fly they built a secondary website that we were able to direct people to at five o’clock news and keep the good things going on Give Day. Because there were non-profits, like you said at the beginning, that it’s Christmas for. They plan all year, they build their development strategy around it, there were non-profits we knew that were having happy hours, where everybody was going to go at the same time onto the website and make their donation, and there were evening parties and things like that, where we knew we couldn’t leave our non-profit partners hanging. There were other communities, many other communities canceled their Give Day. And with something that big, you just can’t do it tomorrow. Ashley: My user experience on that infamous day, I represent a non-profit that was actively involved, and we were recording this live from BigSea studio, but I actually texted Joe around noon on that day saying, ‘Give them a call and see what your agency can do.’ And the outpouring of local support, not knowing how national this crisis was, was really great to see, and your response to the events. No one wanted to be in your shoes that day, but the rebound was swift. And I think for some non-profits, their annual campaign are they sustaining campaign. Sometimes they can run that throughout the duration of the year, but other non-profits, your day is their only day of helping. Matt: Yeah. And we felt that way, we felt that responsibility, and so that’s why we had to create a solution immediately. And our communication partners B2, who I’m sure you know, they’re great partners, a St. Pete company that’s doing great thing down here. They actually used us as a case study to say this is how a team should work together, because our CEO really had—we jokingly call her VP of Marketing, the Give Days Czar, and she has a little crown and a little wand and she gets to be in charge that day. And Marlene really gave her authority to make a decision, and she made the call. Kyle from B2, myself, I had the relationship with the non-profit that was building a website for us, and just together we pulled it together, and literally in 90 minutes built a brand-new website. And then there’s some work on the backend to tease out where all the gifts went, but the important thing was we were able to turn around for our non-profit partners, and we actually made more in 2016 for our non-profit partners than we did in 2015. So, despite the challenges, we ended up growing quite a bit, and doing a lot of good and bring resources to non-profits, even above the year before. And then we’ve spent a lot of time after that day in conversation with our non-profit partners, we actually pulled a working group together of non-profits who were very successful on Give Day, from small to large, and they led the process of deciding what we would do in future years. And they were adamant that they wanted that day to continue, that they felt the value and they really appreciated our work. And so, we went to a new platform that’s much more stable, our non-profit partners now if they sign up for Give Day, they get that giving website year-round. That’s a real value for a non-profit that maybe doesn’t have that technical expertise in-house. They now have us as a giving partner year-round through our Give Day site. They have their own standalone site they can edit year-round, they can put video up, they can put up new copy whenever they want, tell their story. And they can really use that to continue the development process. Joe: This is the national platform, or did you stick with the one that you built? Matt: To a different model. Matt: Yeah, we moved on to a different partner. And we had some negotiations about what that would look like, and they had—I think it’s no more than eight Give Days on their platform. They’re backed up on the Amazon server. So, we felt pretty confident with some of the steps that they took to ensure that that would not happen again. Ashley: So, let’s talk about some trends in philanthropy. There have been a lot of authors coming out talking about toxic charities, and where helping can actually hurt. And the argument for those writers is that by simply providing handouts and not providing more systemic solutions to major issues—poverty, food insecurity, etcetera, we’re really not solving anything. Matt: There’s a lot of conversation in the non-profit world about that right now, and nobody wants to perpetuate the problem. Everybody is in the non-profit community because they feel like they can have an impact, they can make a difference. And so, a great example is Feeding Tampa Bay. They talk about not just feeding a line, but also shortening the line. And I think that shortening the line piece is a new part of the food insecurity conversation. Is it appropriate for a food bank to be leading the way in thinking about how to have fewer hungry people in the community, not just feed the hungry people in the community? And I think it definitely is. We work together with them and Humana on, Our Children’s and some other partners in the Hunger Action Alliance to try to figure out that second piece of it, how do we shorten the line? What does the research say about helping people get up on their own two feet so that they don’t need to rely on food banks, they don’t need to rely on weekend food backpacks and things like that? Because there is absolutely a need for it, and it’s important that we meet that need. At the same time, we need to be thinking as a non-profit community about how to work ourselves out of a job. The ultimate would be poverty doesn’t exist anymore, and people really have what they need in order to be able to meet the basics of life. But another great example I would give is that Region’s Bank is a great partner of ours, and they do a lot of financial literacy work for free. They’ll go in any non-profit, they’ll go work with almost anybody to teach financial literacy classes. And you’re seeing more and more non-profits, especially in the basic needs world, are tying their service and their assistance to things like financial literacy or things like employment skill building, or actually having a job. And there’s all sorts of other ways that you can approach that, where you can address an immediate need and serve someone who needs assistance without enabling it. Ashley: So, you’re involved in a lot of regional economic development efforts, so you have a more of a long-view perspective as it pertains to shifts in philanthropic giving. So, knowing that all of these different issues with insecurity, financial literacy, all feed into… maybe we define it as poverty eradication, or fill-in-the-blank. Are you able to look at the horizon and see where a good majority of funding is going to, if it’s not already shifting there now, will go? Matt: I think we try to do that, we try to look at trends, we certainly keep in touch very closely with our donors and what they’re thinking about in terms of addressing needs. You mentioned earlier there is the cause of the moment often, which is great for the cause that’s getting the attention, whether it’s human trafficking or HIV, or whatever it is at the moment. But that’s a really dangerous model when you’re no longer the cause of the moment and you still have need, or you’ve built this infrastructure that is meant to support addressing issues at a certain level. And from our perspective at the Community Foundation, one of the things that we do is we look at focusing on three Es—Education, Employment and Enterprise. We feel like those are three areas in which almost any non-profit can participate in one way or another, whether it’s arts and culture institutions providing their educational pieces, or helping their artists build living wages and learn how to make money off of what they do. St. Pete Arts Alliance does a great job with that kind of thing. And it’s just those three Es really give a frame for how we approach our giving out into the community. And it allows us to be flexible. We’re seeing right now, or we will see soon. Another example would be the opioid crisis. We’ve seen that in other parts of our country, and certainly there’s effects here locally as well, but how the non-profit community can address that? I’m not sure we’ve fully fleshed out the best response. We’ve seen that at a national level and we’re beginning to see it at a local level, and that’s not something that’s necessarily tied to poverty. So, poverty alleviation can do a lot of really good things, and we have some great efforts going on in St. Petersburg around that. But mental health crisis is not necessarily something that’s tied to poverty, opioid epidemic, not necessarily tied to poverty. So, there are a lot of other charitable causes out there that are going to need support. I think it’s really important to battle poverty, I think we have great non-profits in our community doing work in that space. We certainly support them and do what we can, but the charitable work that we do, even if we were able to eradicate poverty, there would still be things to work on. Joe: So, one of the other big grant making agencies is the Foundation for a Healthy St. Pete. We had Jeff Hearn as our very first guest, and he gave a nice history of how that spun out of the hospital system. How do you guys play together? Matt: We play really well together in the sandbox. I think a health conversion foundation is a fantastic thing. It’s 170 million dollars that will continue to spin off seven or eight or nine million dollars a year to support important activities in St. Petersburg, and specifically in South of Ulmerton, in a footprint of Bayfront. They have a lot of big ideas, and I think there’s a lot of things they can accomplish, specifically one of the ways that we worked very closely with them just in the last two months or so was right around Hurricane Irma. This community, especially the philanthropic leaders in the community responded really well. Even before the hurricane hit, we were talking together, the Pinellas Community Foundation, Foundation for Healthy St. Pete, ourselves and the four local United Ways all got together and we said, ‘Let’s not compete for donors, let’s not confuse people about where to go to support Irma recovery in Tampa.’ And the Community Foundation, since 2008 we’ve had a disaster relief fund. And so, we just activated that fund in a new way, we forfeited any percentage that we would take off of that, so 100% of gifts into the fund go directly to Irma relief and recovery. And then all the community partners just started pointing their donors to that fund. We have a great management system, we were able to just add on a piece that was specifically for non-profits affected by Hurricane Irma, and there you go and tell us what happened and what they need to recover. And the biggest donation to that fund came from the Foundation for a Healthy St. Pete. So yeah, there are a lot of times we fund alongside them. They do some scholarship funding through us, we also hold a couple hundred scholarship funds, several of them are theirs. So, they’re a great partner, and no more so than disaster relief recovery, that’s been a great process. Ashley: One of the areas they’re moving into a little bit is the Grow Smarter Initiative, and something a little bit non-traditional, you’re involved in the Economic Development Corporation. How is Grow Smarter on the map for you? Matt: Well, Grow Smarter has built into it, it’s a community document. And it’s an idea that says we need to activate all the resources in our community, we need to make sure that the proverbial rising tide actually does lift all boats. And that doesn’t happen on its own. That happens through intentional effort and partnership. And we’re happy to be part of it, we were one of the funding members of the EDC and we now have been pretty active in the education space, and then working with their entrepreneurial workgroup and making sure that social enterprise is a piece of that, it’s part of that conversation. And so, when a community is thinking together, like St. Petersburg is through the Grow Smarter Initiative, there’s just so many opportunities, you have great people at the table, and it’s an opportunity for us to promote the non-profits that we work alongside, and to make sure that people who have a capacity and an ability to help them are aware of the good work they’re doing, and get that plugged in to the strategies within Grow Smarter. Ashley: Yeah? It’s November 14th? Ashley: I’m curious if you heard something in these round tables that was a surprise to you. Ashley: And maybe one example of that, if you talk about graduation from middle school, understanding what that testing looks for, what graduation technically means, and appreciating maybe the very nuances that may be holding us back. Matt: Yeah, to take that up one more level, we have a big initiative that we lead in our community called LEAP, and it’s around college access and attainment. And that’s a really important metric for a community, there’s a national goal based on what jobs in 2025 are going to look like and what they’re going to require. And then the state last year set a state-wide goal, 55% of communities of job-age individuals, working-age individuals having either a degree or a high-quality credential. And so, we put together a partnership with a lot of other organizations to make sure that happens in Tampa Bay. We’ve been really successful over the last couple of years in Hillsborough and brought that to Pinellas this year. So, we’re really excited about the potential there. That’s a perfect example of one of the things we wanted to make sure that we were tracking as a community, and even more than that, the other part of the process was that we looked at what are some peer communities, what are some aspirational communities around the country that we wanna measure ourselves against? So, everything from Austin to Seattle to Baltimore and Charlotte, we take 19 communities around the country, and every metric that we chose we now measure against those 19 communities. So, there’s some hard truths in there about Tampa Bay and where we are, but there’s also some good news. And even more importantly, that document doesn’t define us, it just describes where we are today, it’s a still photo. But it allows us to paint a picture of the future, and look at if we have some really coordinated efforts around these certain metrics, then we can see our community moving up those scales and passing competitor communities. Ashley: We’ll go ahead and add that document to your show notes, so our listeners can check that out. But nothing really surprised you, though? It was pretty rudimentary, or at least expected sentiment around education and transportation and what have you? Matt: Yeah. I was actually surprised with somebody on our staff who just moved here from Seattle recently, and he laughs at us when we think that we have traffic problems. And I was surprised that he was right, that we actually fare pretty well as a community when it comes to commute, when it comes to walk score and things like that, that we see transportation as a huge issue. My Leadership Pinellas class, 39 out 40 people named that as the biggest issue in the community. But everybody struggles with that, I think, it was something that surprised me a little bit. Certainly, we’re not where we need to be, we don’t have the kind of mass transit that we’d like to see. Having worked in D.C., having been in other communities where they do have it, I understand the possibilities that exist once you do have it. But at the same time, I think we… I’m someone who crosses a bridge every day, and I think we do overestimate the challenge that we have with transportation as it compares to others. Joe: As you know, since you’ve listened to the show, which we really appreciate, we like to end the show with a shout-out to a person, place or thing, otherwise known as a noun, that you think deserves more eyeballs than they’re getting right now, underserved. Matt: I’m gonna cheat a little bit and name two. There’s a great non-profit, and just like my three boys, I don’t have a favorite, but this is my favorite that actually came out of some donors from the Community Foundation and some other passionate people in our community, that works with kids aging out of foster care who haven’t been adopted, it’s called Ready for Life. And they do amazing work. There’s some donors in our community who have been really supportive of them and helped them grow for the past decade. And it’s personally a passion for me, because when my father passed away, at his funeral we invited people instead of doing flowers or anything like that, to contribute to the scholarship for kids aging out of foster care, because they just don’t have the support system that those of us, who have extended families around us, or have family with means. And so, I think Ready for Life deserves a lot more attention for the great work they do. They just moved to an expanded space and there are so many great things that they have on tap, and they’re serving a population that really needs it. And then, on the individual side I would say… yeah, we mentioned briefly earlier that there’s a lot of poverty alleviation work going on, and Gypsy Gallardo and her leadership around that, and Power Broker Magazine and all the other things that she’s got her hand in, Gypsy is fantastic and she’s doing a lot of really good work, along with a whole bunch of other people, to St. Petersburg and to help people pull themselves out of poverty. Ashley: Matt Spence, keep doing good! Thank you so much for joining us today! Matt: Thanks, guys, it was a good time. I appreciate you inviting me.